The financial district with the headquarters of Germany's largest business bank, Deutsche Bank , is photographed on early evening in Frankfurt, Germany, January 29, 2019. 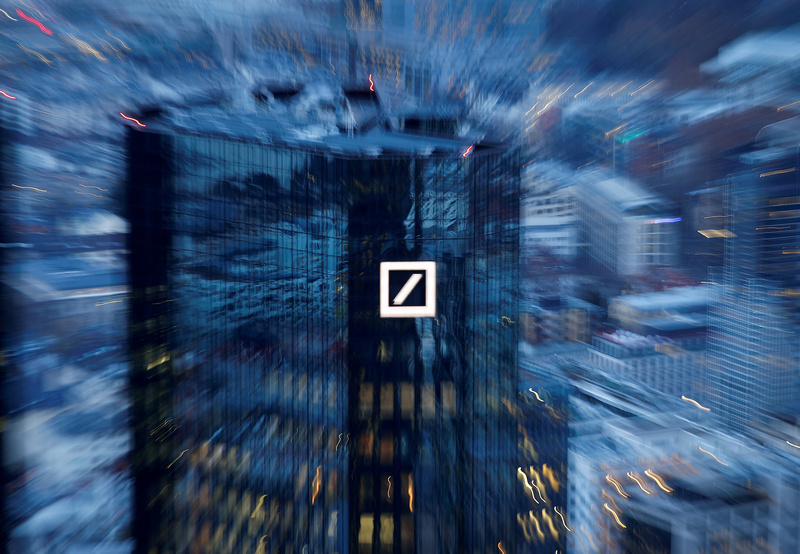 Deutsche Bank is discussing plans to raise as much as 10 billion euros in fresh equity as part of a potential merger with Commerzbank, the Financial Times reported on March 28. German Finance Minister Olaf Scholz on March 26 said the government was not putting pressure on Deutsche Bank and Commerzbank to merge, adding that the government was in talks with the country's two largest lenders by assets so it could intervene if needed. "The boards of both banks have decided that they want to explore a possible merger without fixed expectations," Scholz told the Frankfurter Allgemeine Zeitung (FAZ) in an interview, according to a Reuters report on March 26. "They are in the driving seat, not the government." Deutsche Bank shares were down 3.5 percent at 7.25 euros by 1200 GMT on March 28. Commerzbank shares were down 2 percent at 7 euros.